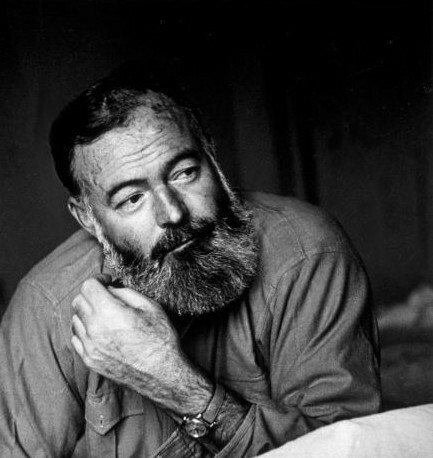 Totalcontent | in praise of Hemingway. 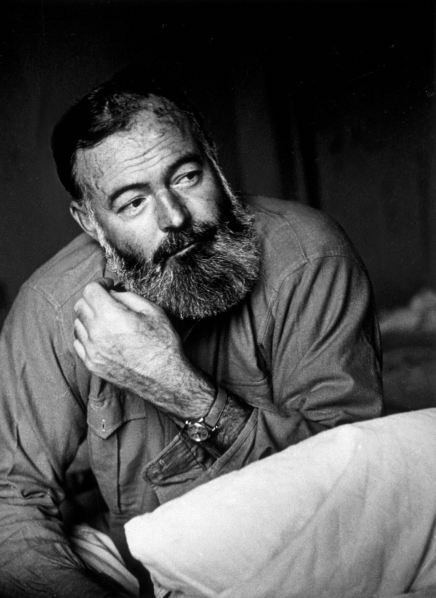 Home » blog » in praise of Hemingway. There are plenty of apps for writers out there. I’ve tried WriteRoom, which gets rid of all the distractions on your desktop so that you can concentrate on one thing. Writing. It does that. And does it well. Then there was Scrivener, a ‘content creation’ app that would supposedly help me write my great novel. You could tuck away notes and ideas. You could keep track of characters and continuity. You could organise chapters and sub-chapters. Make sure that your narrative strands didn’t get tangled. But it was so complicated that I gave up with it. In about two sessions. Ulysses does a similar thing. Only the reviews rave on about its simplicity. I may try that next. Although £34.99 is a bit steep. But back to Hemingway. 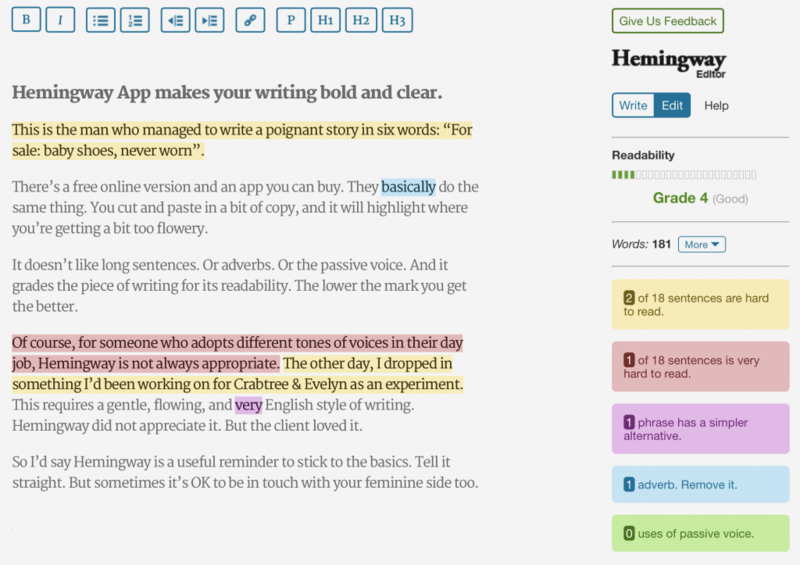 This is an app that purports to improve your style of writing. To make it short, concise and pithy. Like Hemingway’s. Sort of. This is the man who managed to write a poignant story in six words: “For sale: baby shoes, never worn”. There’s a free online version and an app you can buy. They basically do the same thing. You cut and paste in a bit of copy, and it will highlight where you’re getting a bit too flowery. It doesn’t like long sentences. Or adverbs. Or the passive voice. And it grades the piece of writing for its readability. The lower the mark you get the better. And so to ed … what the app made of this mini masterpiece. Of course, for someone who adopts different tones of voices in their day job, Hemingway is not always appropriate. The other day, I dropped in something I’d been working on for Crabtree & Evelyn as an experiment. This requires a gentle, flowing, and very English style of writing. Hemingway did not appreciate it. But the client loved it. So I’d say Hemingway is a useful reminder to stick to the basics. Tell it straight. But sometimes it’s OK to be in touch with your feminine side too.